Lovely, modern two bedroom semi-detached house in a quiet housing estate with off street parking, including conservatory and garden. Perfect for families, couples, pets wanting to enjoy the facilities of an entire house with all the necessities to make your stay comfortable. 5 min walk to Queen Elizabeth University Hospital and the Royal Sick Kids. 5 min taxi to braehead shopping and arena. 10 min drive to Belahouston park 10 min walk to Ibrox and 17 minutes to Hampden park. Glasgow is a 10 min train ride with main line station only 7min walk away. Dining for 6 can accommodate 8 on request. James is a first class host. We are soo glad you had a great time brining in the bells in Glasgow. We love having international guests over and would love to see you all again. We hope your travels home went well and that 2019 is a fabulous for you all. 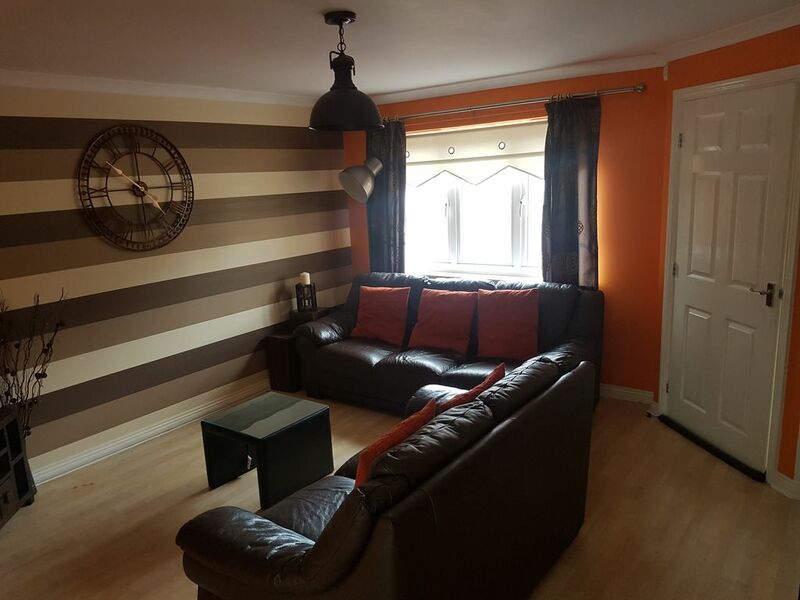 This property is ideal for a stay near Glasgow. It has good transport links to the City centre and easy to access the motorway network to go further afield. A main supermarket is as easy 20 minute walk away should you need to go on foot too. The property itself was beautifully clean on arrival and the owners went out of their way to make sure we were comfortable and happy whilst we were there. Very comfortable, home from home stay. Offered everything we as a family needed. Just very welcoming as was the welcome pack, a nice touch. Book in simple as was check out. We live locally so aware of area, it is easy for travel both publicly and privately. Central location with easy access to the West End via Clyde Tunnel. Great location should you need to be near QEUH, hopefully not unless working there! Nice comfortable, very warm home much better than the confines of a hotel or B&B. Hope you guys had a great Christmas and New year and you know where we are if you have any family coming that might need a place to stay. Very quiet yet close to the centre. I and my girlfriend enjoyed the stay allot. Thanks Guys it was lovely to meet you and we're glad you had a great time. Hopefully we will see you again . Even the neighbours were helpful and friendly. Thanks guys we do try and make it as easy as possible. You were fantastic guests and off course you're welcome back anytime.We are always continuing to try and make our guests stays better even the 4 legged ones. The property had everything included to make our stay a stress free and relaxing stay. The location of the property provides good access for the centre of Glasgow and surrounding areas. Would 100% recommend this property you also get for free, the pleasure of meeting lovely neighbours next door. We do love to help our guests as much as they'd like. We do our up most to provide a great environment.....even providing nice neibours. We'd love to see you again at our home in Glasgow. So glad you had a great holiday.